I love all things cakes and all things frosting- no surprises there! This fun yellow cake is one of my go to recipes when I want to make a homemade cake. The buttercream frosting recipe is so light and fluffy you’ll have a hard time not eating it all straight from the bowl (trust me on this!). I had a lot of fun making this cake. From the different colored layers, to the huge amounts of frosting I used for it- it was just plain fun! 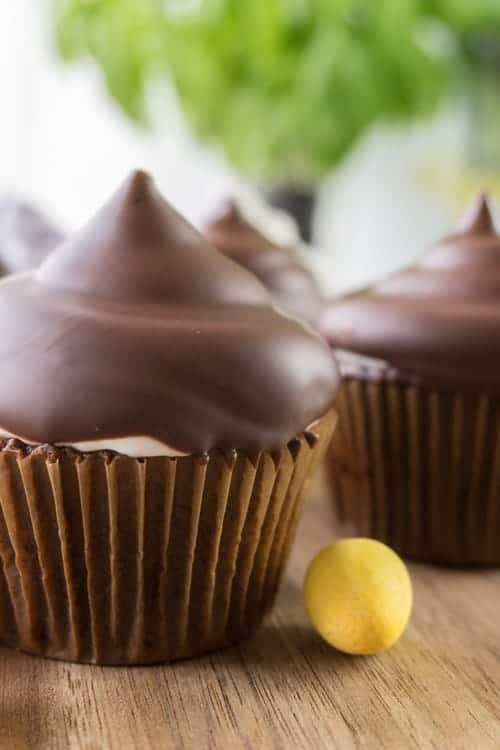 I will admit, after I am done testing and making all my dessert recipes (like my Orange Marmalade Cupcakes or my Chocolate Cupcakes with Marshmallow Frosting), I always want a break from sweets! Anyone else out there like that? I mean, I have to taste test as I go! So I get lots of yummy frosting before it even goes on the cake, plus I get to try the candies I decorate with and any little bits of cake I cut off….. it just goes on and on! And then the cake is frosted, cut and photographed and so I have to taste the final product right? I mean what kind of person would I be if I didn’t taste what I am showing you. So then I eat the cake and when it’s all done I realize, I’ve had enough sweets to last a life time (or maybe a couple of days!) and need to try to eat my veggies! 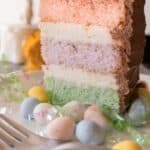 How to make easy Easter Cake? 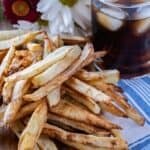 Whip up the egg whites with cream of tarter until they become cloud like. Then whip in part of the sugar until you get stiff peaks. Combine dry ingredients with wet ingredients then fold in the meringue by hand. Separate you batter and dye colors. 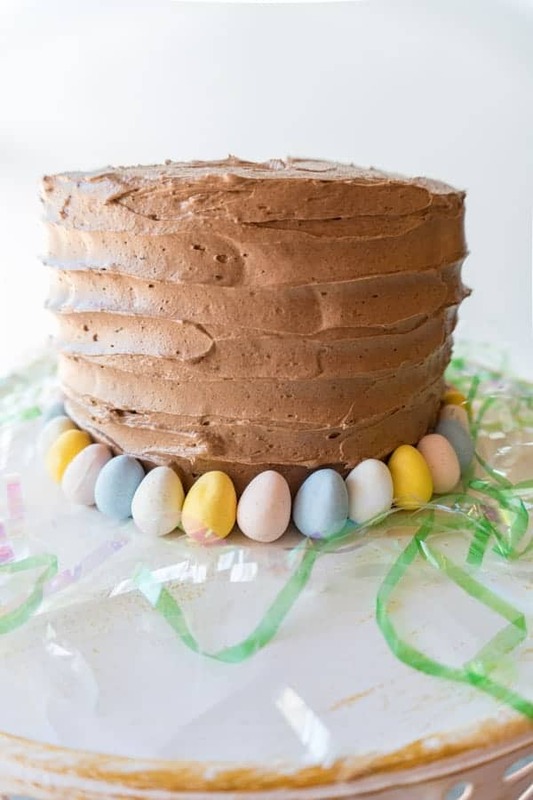 Is there any easier way to make this Easter Cake? YES! 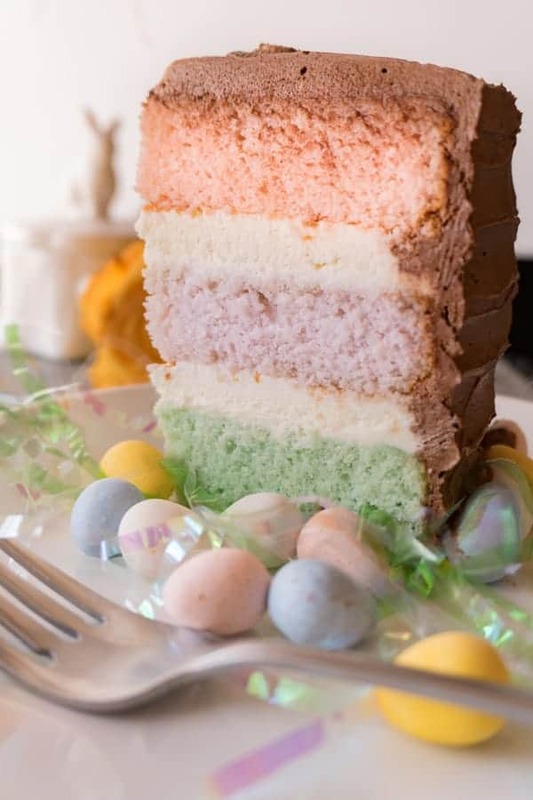 For an even easier Easter Cake you can doctor a boxed cake mix! Simply grab your favorite yellow cake mix, add in 1/2 cup vegetable oil, 2tbs vanilla, 3/4 cup sour cream, 3/4 cup heavy cream and 3 eggs! 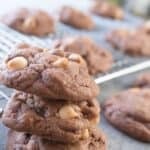 Add your food coloring and bake according to my directions here! 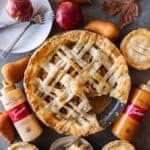 Usually, when I make cakes, cookies, or a pie, I try to send them to work with my husband ASAP! I know if they are in the house I will eat them ALL and I don’t need to do that! 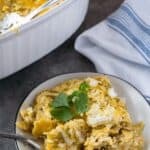 Plus, my husband’s coworkers really like my cooking so it makes me feel good to share with them! 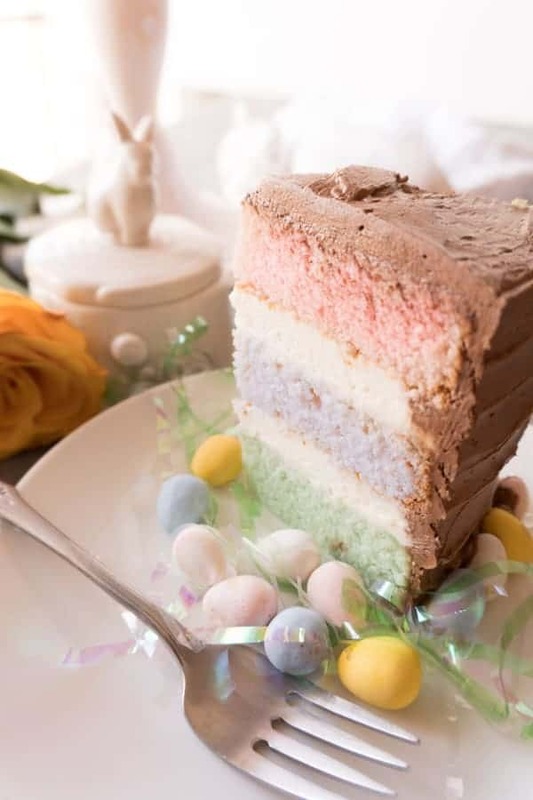 Anyways, enough about my lack of self-control when it comes to all things sugar and let’s talk about this yummy Easter cake and the amazing buttercream frosting recipe. How to make a cake from scratch is not as hard as I once thought. 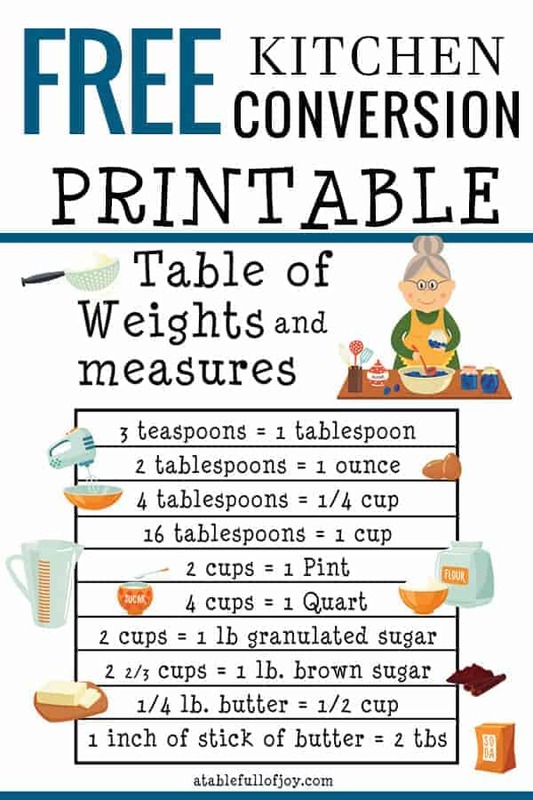 Sure it takes a little more time than a box cake mix, but it’s actually really fun to do. Plus you get to learn awesome things like how making a meringue (that’s the whisked egg whites in this recipe!) to fold into the cake batter to make it a little more fluffy! 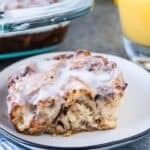 The frosting is one of my favorites! 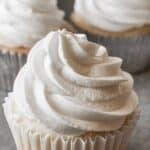 Sometimes I use a more standard butter cream frosting if I am going to pipe decorations, but when I just want a fluffy whipped frosting this is definitely a favorite of mine! 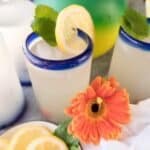 It is so light and dreamy! Haha, okay, I think all the sugar is getting to me! This yellow cake batter makes three 6-inch rounds that aren’t super thick. If you wanted thicker cakes you could double the recipe and add twice the amount of batter to each cake pan. Just make sure to bake longer! I added blue (which turned green because it’s a yellow cake… science at work! ), pink and violet food coloring to the cake batter for a fun Easter dessert. I hope you enjoy this Easter cake as much as I do. Share it with coworkers or take it to Easter dinner. 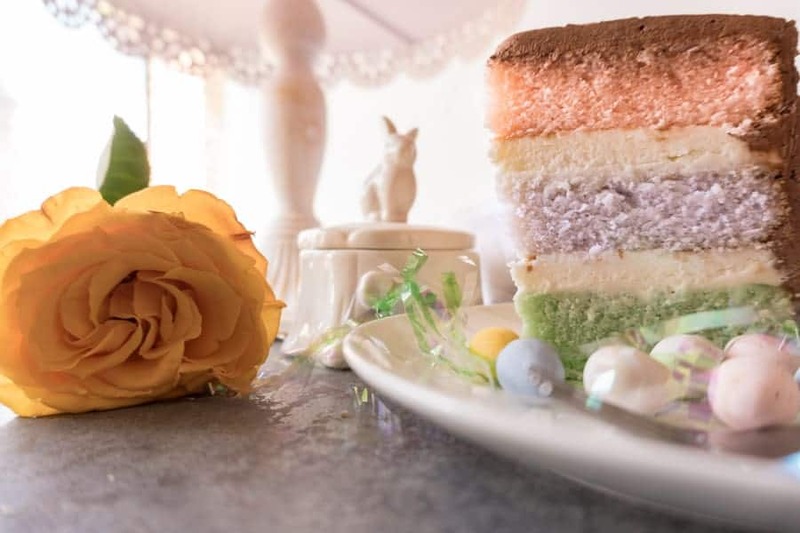 Do you have a go to Easter dessert? Let me know in the comments below! 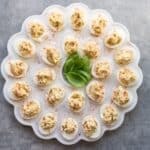 Also, check out my classic deviled eggs , homemade dinner rolls and my easy Easter peanut butter chocolates for Easter as well! 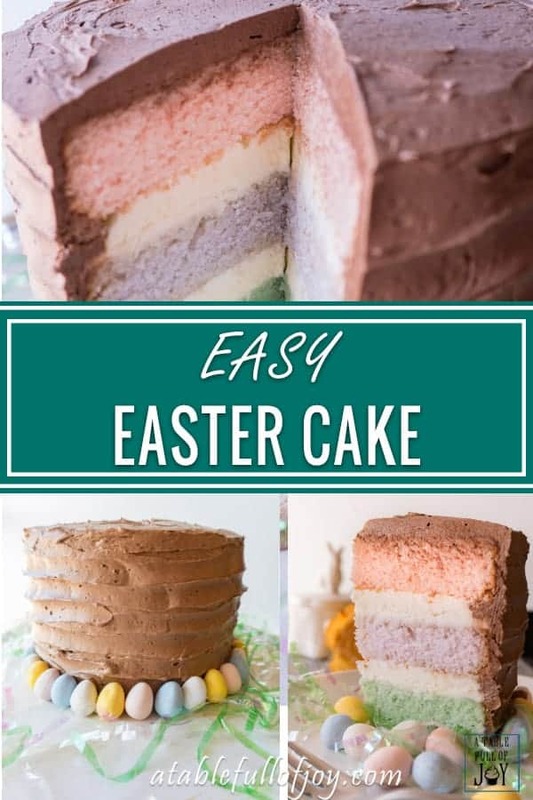 If you are wanting a more clean cut Easter cake, check out my tips on decorating a cake here– just change up the colors for an Easter themed cake! 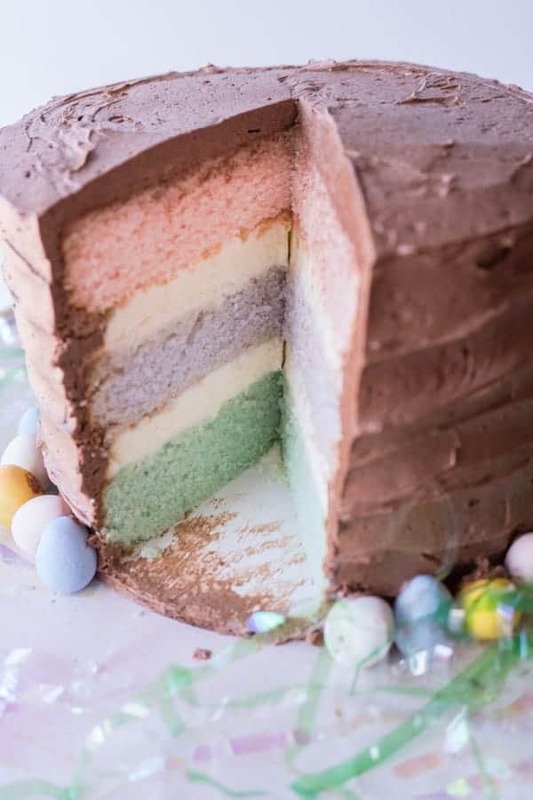 This fun and easy Easter cake will satisfy any sweet-tooth! An amazing yellow cake recipe, with vanilla and chocolate buttercream frosting- it is out of this world good! Preheat oven to 350°F. Grese the inside of your cake pans with butter then line the bottom with parchment paper. Melt the 10 tbs butter over medium heat in a small pan, then set aside and let it cool slightly. Slowly add remaining ¼ cup of sugar to the egg whites and whisk until stiff peaks form (3-5 minutes). Move egg whites to a different bowl. In the stand mixer bowl add the flour mixture. While whisking on low speed, slowly add the buttermilk mixture, then increase the speed to medium high and make sure it is fully incorporated. Using a large spoon or rubber spatula fold in, by hand, 1/3 of the egg white mixture into the batter. Then carefully fold in the remaining egg white mixture making sure there aren’t any white streaks when done. 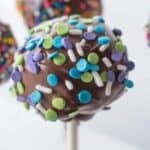 If using food coloring, separate the batter into however many colors you want. Then gently fold in the food coloring so there are no streaks left. I wanted 3 different colors so I put about 2 cups in 3 different bowls. 10. Pour the batter into the prepared cake pans. Bake for 20-25 minutes, or until a toothpick inserted comes out clean. If baking more than one cake layer at a time, bake the cakes on the same oven rack. 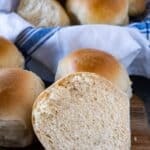 If you have one on a rack up top and another in the middle or on the bottom, they will bake unevenly. 11. Let the cakes cool completely before frosting. Level the cakes buy cutting them flat. Put a dab of frosting in the center of your cardboard cake round or whatever you will be setting the cake on, to hold it in place. Place the first layer, then add about 1 cup of vanilla frosting on top. Spread the frosting into an even layer. Add the second layer and repeat with the frosting. Add the third layer then with the chocolate frosting add a crumb coat. This is a thin layer of frosting that goes over the entire cake and will help make the final frosting layer go on smoother. Once the crumb coat is on, refrigerate the cake for about 20 minutes. For the final layer of frosting I like to take a huge scoop of frosting and put it on top of the cake and then spread it out and over the sides from there. 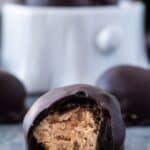 Add your Easter candies around the bottom edge if using. 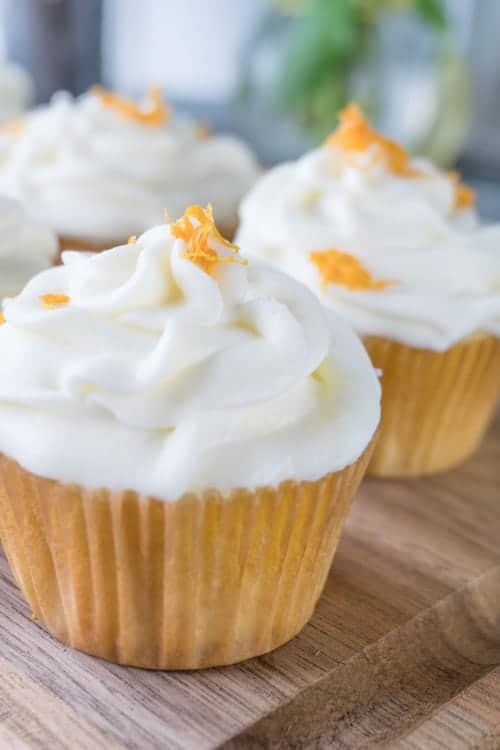 Give my Orange Marmalade Cupcakes a try! 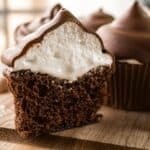 Or my Chocolate Cupcakes with a Marshmallow Frosting! This cake sounds amazing, Lisa! I love chocolate buttercream! Such subtle gorgeous colors! Love the classic buttercream frosting on any day. Cake sounds amazing! Those light pastel colors are amazing! And I love the decoration with the small eggs, so cute! Cake with a different color is beautiful, kids will surely love it. It’s not only for Easter but also for birthdays, Thanks for sharing. Yummy I love this cake. It’ definitely screams Easter. I love the pretty pastel color too! I bet it was delicious. I taste test so much that when it’s time to actually eat it, my appetite is non existent lol. I hear you on the taste testing part! This is a yummy cake though! I got to share it with lots of people which was nice! Your cake looks so pretty. I love the colors. and I’m sure the Whipped Chocolate Butter Cream Frosting was an absolute hit. 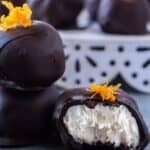 I mean it has the most important word, chocolate 🙂 beautiful post for easter – or even mother’s day! Yes chocolate! And thank you!